Our featured listing of the week is one that just hit the market last week in the popular neighborhood of Warner Ranch. This home provides both a great open floorplan and an amazing location. It has 4 bedrooms plus a very large den/office and features a huge landing upstairs with extra storage. There are soaring ceilings in the great room and there is a downstairs master bedroom. 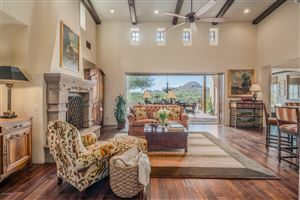 The home, located in the popular Warner Ranch, is situated on the corner of the park and the greenbelt with views in all directions. There is a large living room/dining room combination plus a gigantic great room which is open to the spacious kitchen. The eat-in kitchen is huge with tons of cabinets and storage. The refrigerator, washer and dryer all convey with the home. The backyard is low maintenance and features a beautiful pool. The yard overlooks a big park and the greenbelt. So, the backyard feels larger than it is without all the maintenance of a big yard. Enjoy these fantastic views either from the large covered patio or the upstairs balcony. In addition to all of this, the home even has a 3 car garage. Warner Ranch is easily accessible to the Loop 101, Interstate 10, SR51 and the Loop 202 and is a quick drive to the airport. There are restaurants and shopping nearby as well. This home is a must see! 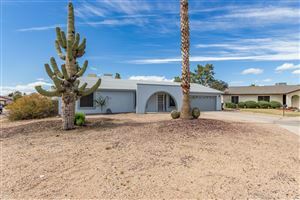 Contact me today at 602-295-9695 if you’d like to make an appointment to see this amazing home or if you would like any additional details about the home.